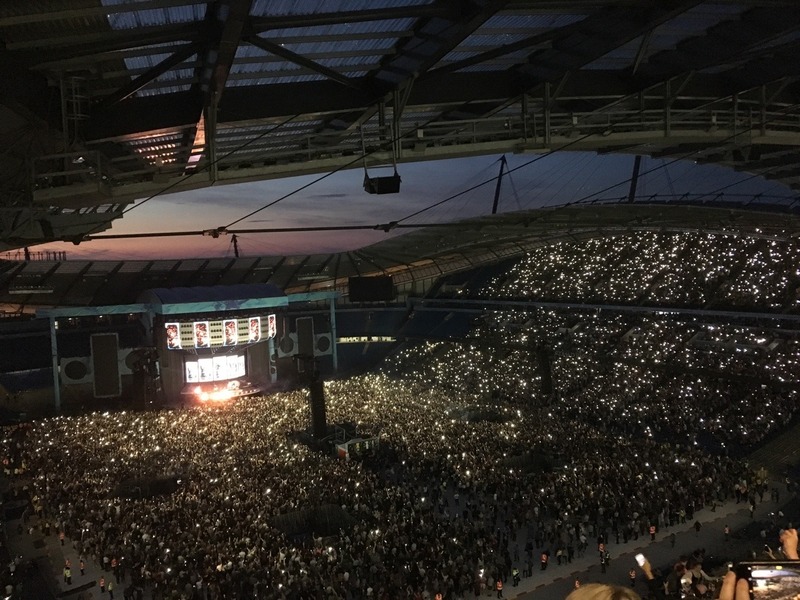 We only decided to go to Ed Sheeran’s Manchester show a week before the show itself. Over dinner. 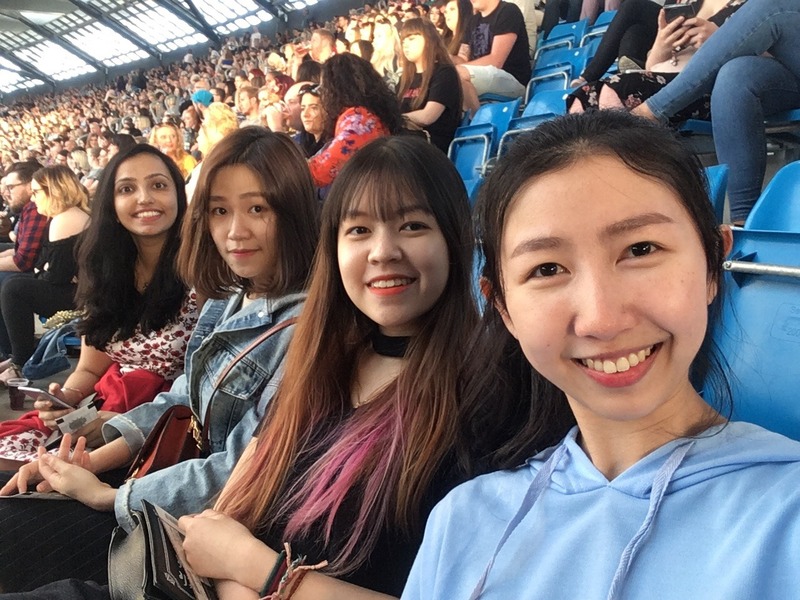 We got our tickets from Twickets and on the 24th of May, after our IP law paper, Ee Min, Yee Lin, Ash, Jia Yang, CC and I headed for Etihad Stadium. Getting to the stadium proved to be an issue in itself at first. Manchester Metrolink had special security measures for an event day as big as Ed Sheeran’s concert apparently, and it took us about an hour of waiting time just to get on a tram, and we eventually only did so by forcefully squeezing our way into the absolutely jam-packed carriages. It was a highly uncomfortable 20-minute ride and you could see everyone audibly gasp for air the moment the tram doors opened upon arrival at Etihad. Ed’s entrance onto the stage was…to be honest, quite befitting of his super humble character. No fanfare or anything fancy like that. He appeared, got on stage, and immediately started singing. A man who gets straight to the point. Just gonna outright admit that the songs of his that I was most familiar with were entirely from his + album from eons ago, a distant phase of my life. It reminded me of driving in my car after freshly acquiring my license for the first time at 17, and gushing about his music with Irfan back in college. It felt quite surreal, like a clashing of worlds. But I’m glad I got to make new memories to associate with his newer songs, in his actual literal presence at that. Many of you might know that just last night/this morning (I honestly still do not know which term is the more accurate one) I woke up at 3.30 AM just to watch the Olympics Closing Ceremony and let me tell you why I am and have been making such a huge fuss over this. Number one, One Direction and Ed Sheeran was performing at the Olympics Closing Ceremony. That is a good enough bulletpoint for Reason #1 the end. Number two, this is a totally and absolutely new thing for me. And I don’t mean that watching the Olympics Closing Ceremony is a new thing for me; getting up at three-thirty in the morning to do so alone is. I have never done anything like this before. I have never even stayed up past 3 AM before (except that one time I read The Hunger Games until 5 AM and then proceeded to cry when I found out what time it was which probably doesn’t count because after that I slept until noon). So this was all very new to me. Like a new adventure. 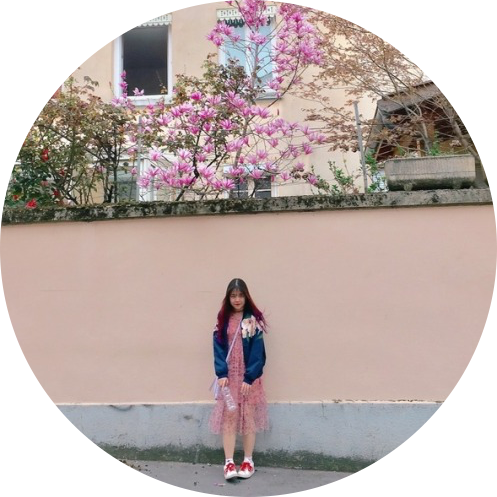 Kind of like rebellion but not really because I wasn’t rebelling against my parents because they were okay with it but maybe rebellion against my dull, routine-centred life and it was all very exciting to me. And then when my alarm rang I dashed out of the room so fast you would never catch me waking up so energetic on a school day (or any other normal day during which you wake me up at 3.30 AM, to be honest). I brushed my teeth, woke up Beneh and Laiyy and started livetweeting the Olympics Closing Ceremony. In retrospect, I think my excitement was more 70% excitement due to rebellion and 30% excitement due to the Ceremony (aka I’m only watching for One Direction and Ed Sheeran). Later on, I found out the Youtube live streaming was actually much slower than the live show so I went downstairs alone in the dark and watched the live broadcast on TV2 instead. I didn’t want to at first because I was scared but you should know the power One Direction has over my current life right now which is not a very healthy element of my existence. And so I spent the next three hours watching the whole thing while livetweeting with Beneh, Laiyy, Wahed, Thira etc (albeit incomplete livetweeting because I HIT TWEET LIMIT HALFWAY THROUGH THE SHOW) and whatsapping with Mei and Sakina. 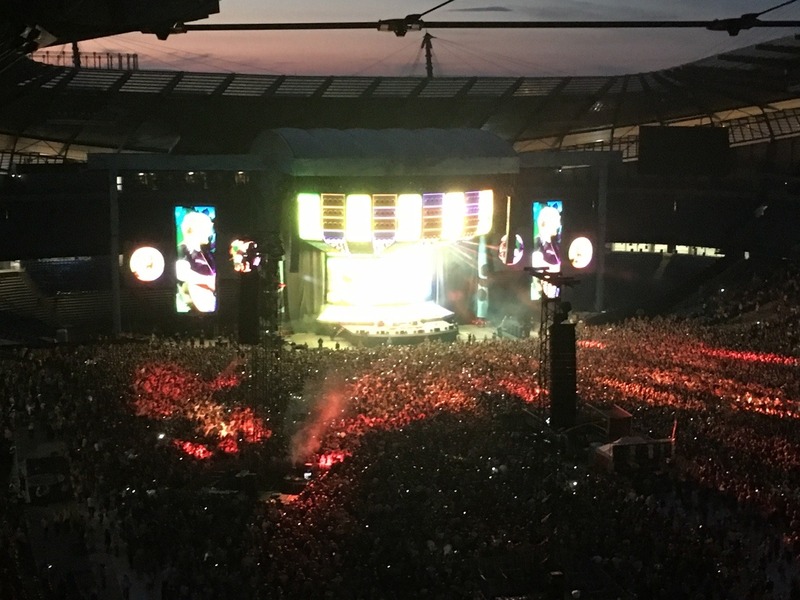 Other highlights of the Ceremony included half of Oasis namely Liam Gallagher singing Wonderwall, a Spice Girls reunion and virtual appearances by John Lennon of The Beatles and Freddie Mercury of Queen. By 6.30 AM, I decided to switch off the TV even though the Ceremony had yet to end because I had to prepare for school. And school today was just a whole day of gossiping with Beneh and Laiyy about the Closing Ceremony. How awesome. So is this the turning point of my life where I actually get to lead a real teenage life now? I’ve been giddy with residues of excitement over both my staying up and the Ceremony for the whole day that I actually felt more energetic in school today than any other day during which I practice a normal sleep routine. It’s like a hangover but a nice hangover because I’m not actually throwing up or anything but memories of last night/this morning would always seem ethereal whenever I revisit them. And yes, I’m just going to straight out admit that I only watched the Ceremony for the acts (two particular acts, to be frank) but I’ve never been interested in sports nor the Olympics so I’m not going to just jump on the hype bandwagon just because it’s Olympic season (except during the Lee Chong Wei vs Lin Dan match because it had something to do with Malaysia so it more or less also had something to do with me). Some people truly do watch the Ceremony to celebrate the ending of three weeks of sports unity, but sadly I’m not one of those people nor am I going to pretend to be one. I, however, am a fan of British performers and entertainers and I’ll do what I can to catch a glimpse of them, even if it requires me to wake up in the wee hours of the morning just to witness their two minutes of screentime. I live by the motto that it doesn’t matter if it’s a good idea or not if it makes a good story. So one day I’ll be telling my kids about that time I woke up in the middle of the night just to watch the boyband I was hopelessly devoted to on my television.